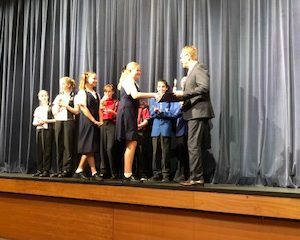 Last Friday was Music Presentation Evening, at which all of our Middle and Senior School musicians performed and were congratulated on their efforts during 2017. 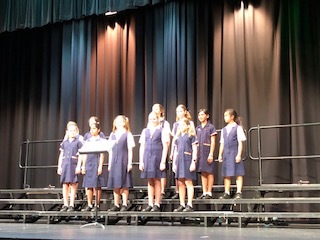 A great night was had by all in the Jennifer Reeves Cafeteria and thanks must go to the St Hilda’s Music Family – girls, parents and staff for making the night a fantastic celebration of all things musical. 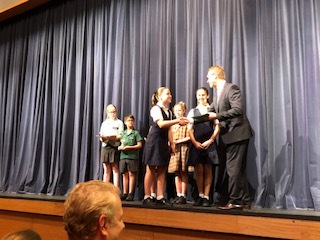 The 2017 Middle – Senior Awards list is included here and also the Music Year in Review presentation prepared by the Senior Music Captains – Natalie Douglas, Claire Walker and Samantha Young. 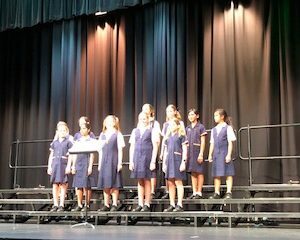 Over this last weekend, Big Band and Years 4-6 Choir and Vocal Ensemble travelled to Brisbane for the School’s last two Music Fest events for 2017. 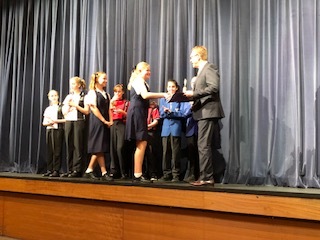 Big Band this year moved up a grading and performed in the B Grade competition gaining a Bronze Award, whilst the Junior School choirs also put in sterling performances with Years 4-6 Choir receiving a Gold Award and Years 4-6 Vocal Ensemble gaining a Silver Award. 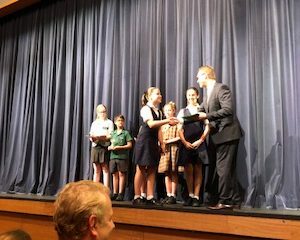 All conductors and accompanists were very proud of their performances.